Spain is a true Southern European country meaning that Spanish people are likely to be very sociable and rather at ease to communicate. 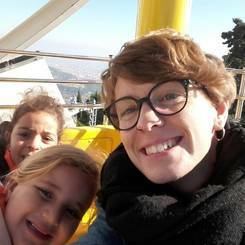 You can expect your Spanish au pair to be outgoing, eager to participate in your family life, and to be rather flexible with schedules and family rules. Family is a critical part of one’s life in Spain. Although the average number of children per family is quite low, ‘family’ in Spain means extended family (grandparents, uncles/aunts, cousins). Relatives often live very close to one another and everyone participates in the development of the younger children. Children often move out late from their parents’ home and maintain a close-knit relationship with their family. You can expect your Spanish au pair to be very caring and to do well in a family with several children. 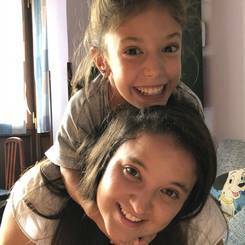 Spanish au pairs will likely have good experience in doing regular baby-sitting, usually for relatives, caring for cousins, nephews and nieces. Spanish au pairs are often very at ease with children for having been surrounded by children most of their lives. Spanish drivers are quite safe and respectful of rules (speed limit, phone usage, use of seat belt, etc.) compared to some other European countries. In Spain one can obtain a driver’s license at 18 years old, after passing a written and practical exam. Although English is taught in school, the Spanish people are not the most fluent in English among Western European countries and their English level will compare to the one of the French and Italian people for example. 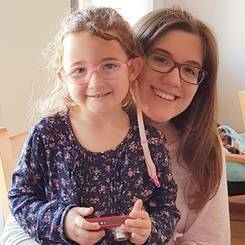 Your Spanish au pair will most likely have a better understanding of English in writing and reading so do not hesitate to use written communication especially early on the program.